When you mix a good amount of rain with lots of sunshine and the right level of humidity, you end up with blankets of colorful wildflowers spread across the Anza Borrego Desert, which sits northeast of the California Historical landmark and mountain town of Julian. For years I have wanted to see these spring wildflowers but could never interest anyone to see them with me. Until two days ago. I nonchalantly mentioned to Gerry that "the desert flowers are peaking and now is the time to see them." Someone had posted on social media a couple of photos of the wildflowers and I thought, "wow, I have to see them now." I was surprised Gerry was agreeable! He thought maybe we should pack for an overnight stay since we didn't know how long we'd be out in the desert. And he thought maybe we could spend some time in Julian, too. 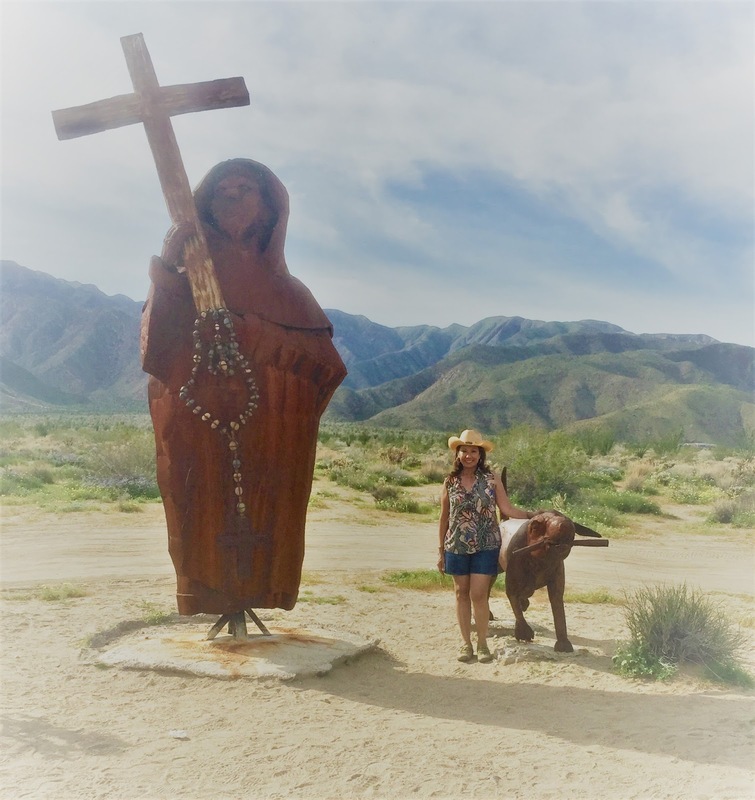 Should we stay the night in Borrego Springs, or perhaps Julian? We really didn't have a plan other than to see the wildflowers. We would just see how the day played out, then decide what to do. 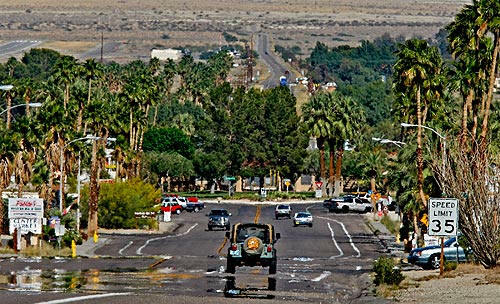 Anyway, we had a late start yesterday morning and decided to take the picturesque drive through the Cuyamaca mountains, bypass Julian and go around the other side of the mountain straight into Borrego Springs, a quaint village with a population of approximately 3,500. The drive for us was a little over two hours due to a section of the mountain road being blocked by fallen rocks and branches that were being cleared. Other than a little bit of a delay, the drive was as scenic as the weather was gorgeous. Such a perfect way to start the day. Once we reached the desert, the temperature was in the high 80's at around 1pm. The Anza-Borrego Visitor Center parking lot was full, but visitors were leaving as quickly as they arrived. Once they secured their map and other information, they took off for their favorite hiking trail or desert spot. drive to the far, far end of the road. Next time I'll find the lupines. They're one of my favorite flowers, as are the sunflowers. We did find beautiful specimens like the desert lilies the dune sunflowers, and many others including a variety of succulents and cacti. When we had our fill of fragrant wildflowers, we headed back out to the main road that takes you back to Borrego Springs. Before turning onto Borrego Springs Road, we saw a giant metal turtle. Then we saw other turtles, and as we drove around, there were other creatures and things to be found! These are the works of artist Ricardo Breceda. There are over one hundred life-size metal sculptures of animals that roamed this desert over a million years ago. Historical figures and humorous and fanciful pieces are also featured. 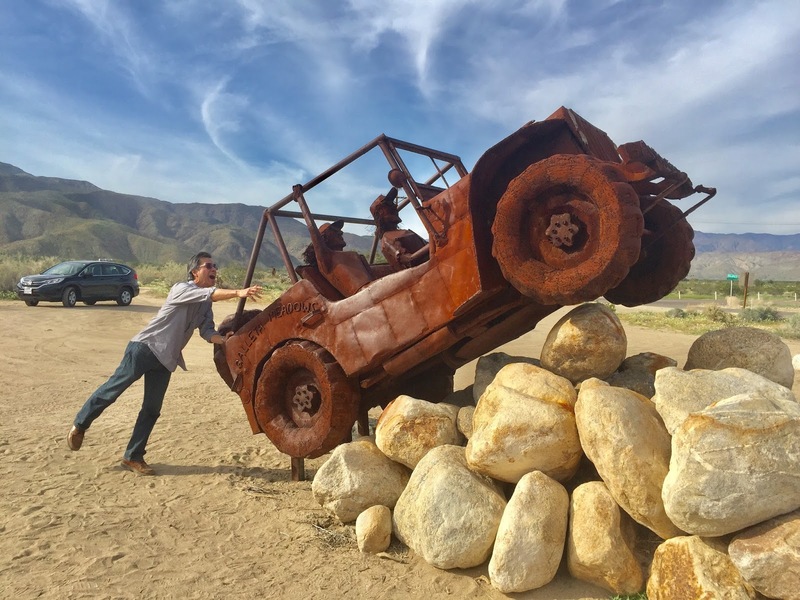 People from all over the world come to the desert to see these sculptures. 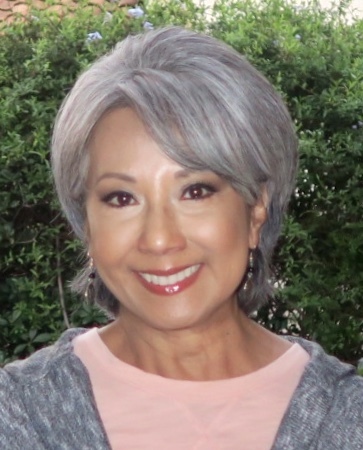 If you'd like to learn more about Ricardo Breceda, click here. You will not find all of the structures in one area. These photos are just a few spread along Borrego Springs Road. The remaining structures are spread throughout this desert area. If you plan to visit as many of these structures as you can, after viewing the wildflowers, be prepared with sunscreen, head protection, your most comfortable shoes and lots of water and snacks. Wearing layered clothing is best as the temperatures are extreme. Very hot during the day and very cool in the morning and going into the evening. There's a full moon right now. If you're able to hang around the desert area, you will be treated a special show of moonlight shimmers upon the desert landscape. * Desert annuals show best in mid-March. * Most visitors approach the state park from the east via Highways S22, S2 or 78. Visitors from San Diego approaching via Highways 79 or 78 have the added pleasure of driving through the mountainous Cuyamaca Rancho State Park. When the highway breaks away from high-country vegetation and you crest over the hill, you are treated to a spectacular view of the great bowl of Anza-Borrego desert. * If you are allergic to pollen, be sure to take antihistimine. Pollen is everywhere. We came home with yellow pollen all over our shoes. * Plan your visit for a weekday morning as parking areas on the weekends are full by mid-morning. * There are lots of restaurants and affordable lodging nearby. * Bring binoculars for spotting wildlife. * Call the State Park Wildflower Hotline to get updates on the wildflowers at (760) 767-4684. 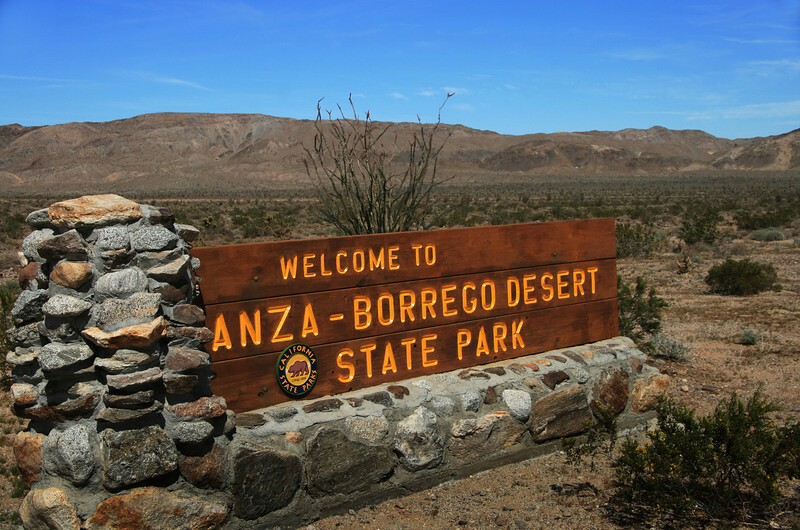 * For more information about the Anza-Borrego Desert State Park, click here.